A recent photograph taken on a trip to Christchurch in Dorset. 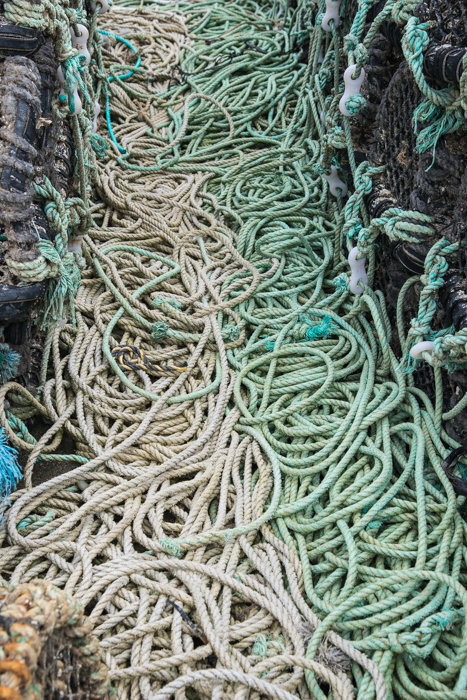 This was on Mudeford Quay – assorted ropes, lying on the wharf between lobster pots. Mudeford is a popular place for tourists, with a caravan park nearby and lots of day-trippers. But amongst the visitors, bathing in the sea, taking the sun and fishing for crabs, a little commercial fishing still survives.